We spent a whole week at this hotel and wished we had stayed even longer! We got an upgrade to a large room with a queen size bed and an extra twin bed on wheels. The room was very spacious, clean and comfortable and we had a balcony. We even had a bath in the bathroom! Their staff is exceptionally friendly and helpful. We felt pampered. They can help you out with anything (plan your day, get a taxi...) They even got a birthday cake for our daughter who turned 7 when we were there. The location is also perfect to visit the old quarters, the beach (a quick ride away) and many tourist attractions are within walking distance. You can also borrow bikes for free. The hotel is in an alley so it is not noisy. Also, we had good buffet breakfast. The pools (yes, there are 2!) were also very nice! We just loved everything about this hotel! My husband and I stayed at Banana Gardens for 6 delightful days. The staff were welcoming, pleasant and accommodating. Breakfast was ample and varied, and we made use of the restaurant for other meals too. The food was cleanly prepared, and a real respite for those with sensitive stomachs like me. We made full use of the complimentary bicycles, which were fairly well maintained. The two pools offered a chance to cool down after cycling through the rice paddies. Finally, the housekeeping staff did a good job of keeping the rooms tidy, and the groundskeepers kept the plantings and facilities well maintained. I would wholeheartedly recommend Banana Gardens to other travelers. 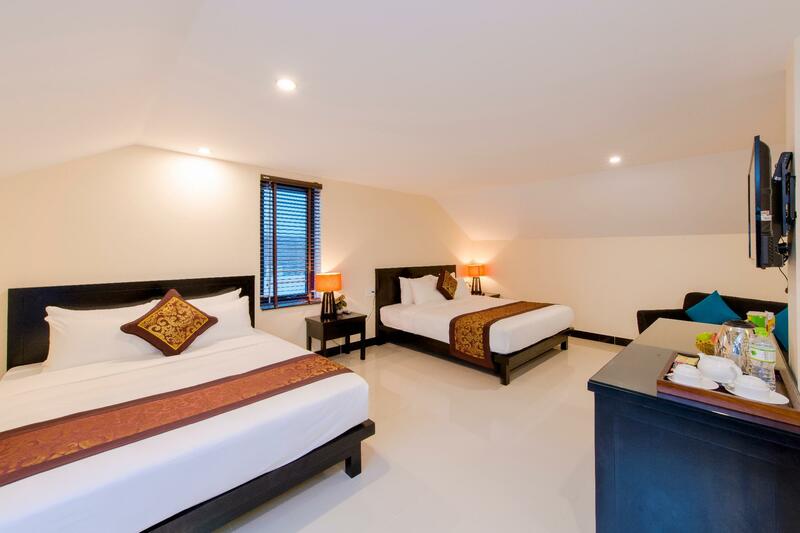 Just the right distance from the craziness of "down-town" and just far enough away from the honking horns to ensure a good nights sleep, the Banana Garden Villa offers the best balance of location and a quality stay. But, it is the superb staff that make this a property one I will be sure to return to. If it were possible I would give them 10 stars for sure. Thank you! We spent 3 nights at Banana Garden Villa and enjoyed it very much. The staff was extremely friendly and accommodating. The room was clean and nice. The food was very good. And the bikes that are available for free were in great condition. I highly recommend the place. Villa run by two lovely sisters, who were extremely welcoming and helpful... happily organisingcar transfers, motorbikes, everything for us! Great pool, big room, nice breakfast... amazing value for money! Plus out of the hustle and bustle of central Hoi An! Staff here were extremely helpful, always attentive and very informative. The room we got was huge! Same day laundry service was handy. There were some things we didn't like from our experience. Hot water to shower didn't last very long, it was ok for the first person but would soon run cold for the next person. Bedding often had stains when they were changed. Room floor was never mopped, and didn't look like it was swept properly either. There wasn't really much of a selection for breakfast, but it's ok to tide you over before you go out for a proper meal. The hotel itself is a little further out from the main town, but is a pleasant 15 to 20 minute stroll in, and hotel do provide free bicycles to use or can provide motorcycle to rent. Few suggestions for the hotel - would be good to have a long mirror somewhere in the room, a safe for valuables and complimentary water would've been ideal. Asides from that, we would still return here in the future as the staff were just amazing. My family with 5 adults & 1 kid have booked 2 triple-rooms, whole payment has been successfully processed before. The check-in time was 2 pm. We arrived the villa at 5pm. The sales officer (villa's staff) told us: "We have no room for you. Go away and find another hotel to stay. We will return your payment later". I got angry and ask her to give us some more reasonable solutions. Money is not the matter in that case. It's was the first trip of our family in lunar new year. We booked and fully paid, arrived at 5 p.m. How can they talk to their customers like that? I did ask her to find another hotel for us but she said "No, i have no time. Sorry, you should find by yourselves". I got angry again and shouted out loud in the phone. That conversation lasted about 1 hour under fire. 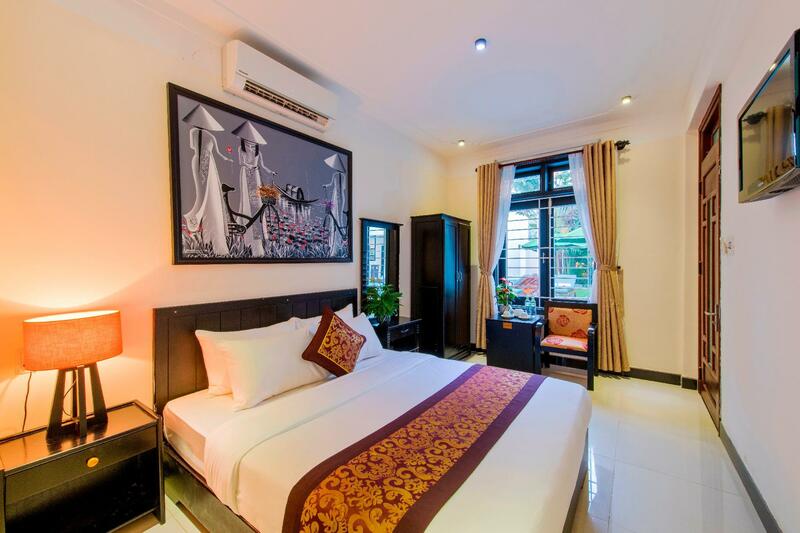 Luckily, I connected with the villa owner and he said sorry & found another villa in Hoi An for us to stay, in the same area. And thanks to God, that villa was good. But it's still a really bad experience. I absolutely loved this place! The staff are like family! Really! The rooms are so beautiful, clean and quiet. The pool is beautiful and they are building a second one. Even with the construction around we hardly noticed! Loved the breakfast. Big portions and great selection. The staff where so helpful with booking tours recommending tailors or shops. I would stay here forever if I could. Is a good family business resort. The owner is friendly and helpful (Miss Na). 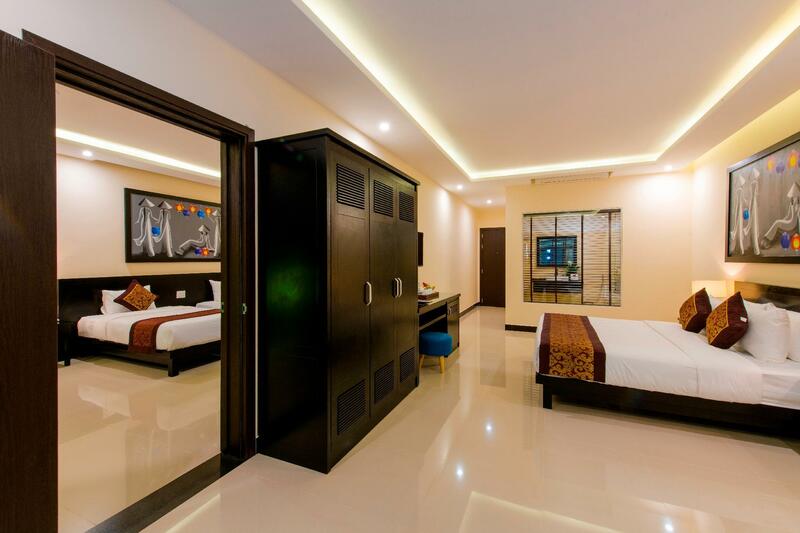 Cleanliness of the resort is good and we have and enjoyable stay there. They provide bicycle for guest to take a ride around. And is quite near to Hoi An ancient town. They provide a transfer from Da Nang at a reasonable price. Is convenient for me as a guest they provide me a map instead and explain on the location for famous food. The resort had a wifi service and fast in the speed. They assist to arrange local tour such as My Son Historical place and etc. My family had a nice stay here. Very helpful and friendly staff, room is very clean, good breakfast, located near old town, bike is available for free, pool is good for kids. Can't recommend more this hotel. Great hotel for our stay in Hoi An . Clean rooms and facilities, friendly staff, loved the pool. Short bike ride from the centre of town but they provide free bikes which was nice. 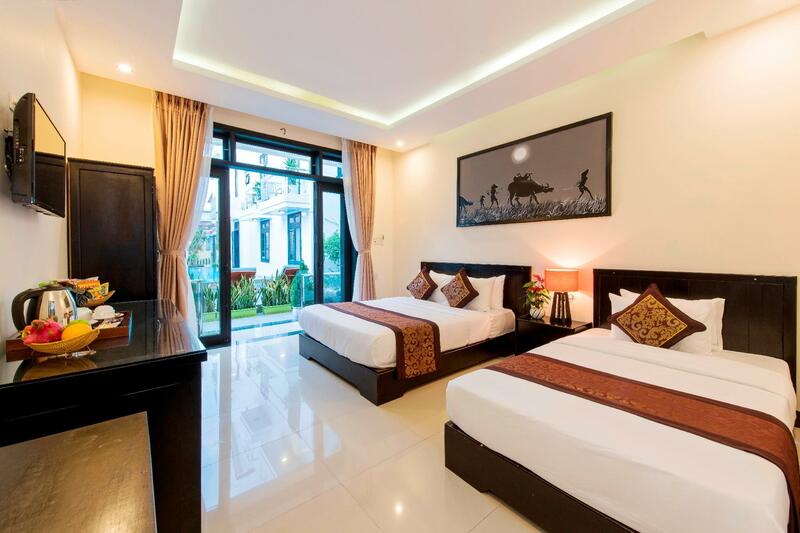 I would highly recommend this hotel for your stay in Hoi An. This was by far the best hotel we stayed in Vietnam. The rooms are wonderful and the two pools absolutely beautiful. The staff is incredibly friendly and super helpful at all times. 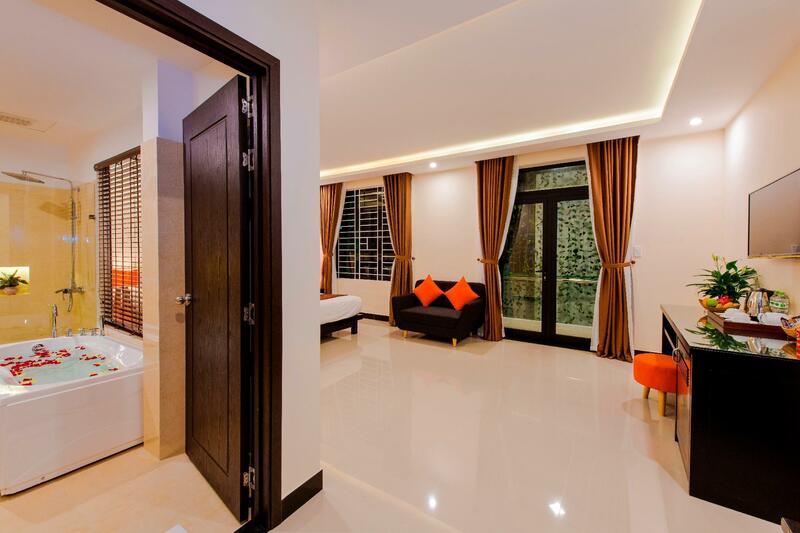 Don’t waste your time looking for other hotels just come to Banana Garden Villa and you won’t be disappointed. This is a gem! 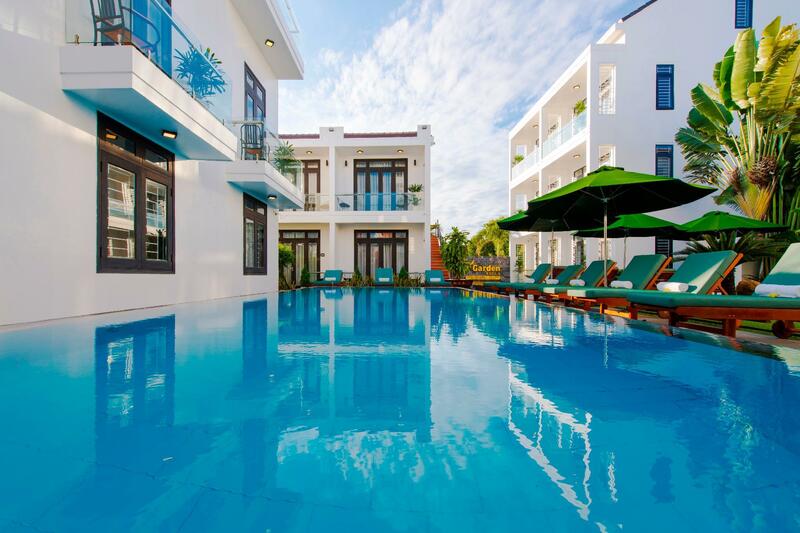 Hands down, I would return to this hotel if I am ever in Hoi An again. This hotel is more beautiful than I imagined. It is not located in the old town area but they are a short bicycle ride away. The hotel lends the bikes for free, and this is a great way to see the town. There ate some very nice cafes nearby. The staff are incredibly helpful and made our stay there so much easier.